SOAR 2017 kicks off today, and we’re excited to network with our customers and partners! We look forward to discussing the trends happening in the supply chain industry and share ways organizations can leverage the Global Trade Network (GTN). In April, we kicked off our SOAR Customer Spotlight series highlighting how our customers are using BluJay Solutions to transform their supply chain from a cost center to a strategic, competitive asset. First, we took a ride with Volvo, and learned how they gained end-to-end visibility into its logistic operations with BluJay’s Transportation Management solutions. Then we turned the spotlight on Crane Worldwide Logistics, who leveraged BluJay’s Transportation Management for Forwarders, to address their need for a single, scalable freight forwarding system that supports all of its global operations. Today, we’re visiting America’s neighborhood home improvement retailer, Ace Hardware, to learn how the company is “renovating” its supply chain by leveraging BluJay’s Transportation Management solutions. 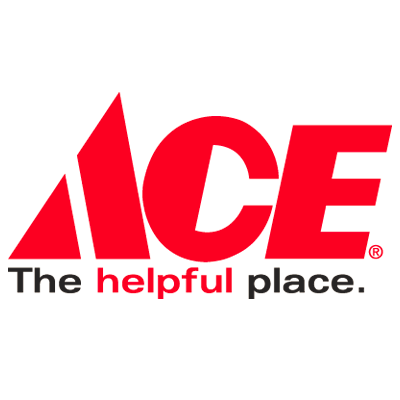 Ace Hardware, headquartered in Oakbrook, Illinois, is a leading home improvement retailer with 4,000 stores spanning across 50 US states and 60 countries. The stores are supported by 14 distribution centers and six freight consolidation centers, supplying over 65,000 products. Like any company moving fright around the world, Ace was seeking greater visibility and control of across its global operations to help reduce overall freight costs, but they didn’t have the right solutions in place to get them there. Previously, Ace’s inbound transportation process was manually managed with spreadsheets utilizing inefficient processes and producing outdated information. With a transportation network consisting of 30,000 truckload OTR shipments, 8,000 intermodal shipments, 17,000 Ace fleet shipments, and 2,700 lanes, Ace knew it needed a more efficient transportation management system and called on BluJay Solutions. BluJay’s Transportation Management solution now runs Ace’s daily global operations. This allows Ace to have end-to-end visibility of its global operations, and obtain real-time information to gain better control of transportation performance and cost across its supply chain. Ace has also been able to automate transportation tasks, including planning, execution, and settlement. The company also utilizes BluJay’s Global Trade Network to manage inbound shipments for greater freight savings. Additionally, prior to implementing BluJay Solutions, Ace experienced low lead-time dependability from suppliers, requiring higher levels of safety stock. Now, thanks to BluJay’s Transportation Management solution, Ace identified problem areas that led to reduced inventory, increased inventory turns, and improved lead-time dependability. The relationship between BluJay Solutions and Ace continues to evolve. Along with Transportation Management, Ace also uses BluJay’s Procurement, BluDex, and Freight Management solutions. Ace estimates that BluJay Solutions saved the company over $18 million in transportation costs since implementation. Make sure to visit our blog regularly, as we continue to spotlight customers who are using BluJay Solutions to transform their supply chain logistics. We look forward to seeing you this week at SOAR!